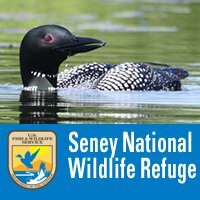 The Seney National Wildlife Refuge is a managed wetland in Schoolcraft County in Michigan. It has an area of 95,212 acres as a refuge for migratory birds and other animals. Guided tours, trails, picnic area, more. It is bordered by M-28 and M-77. The nearest town of any size is Seney, Michigan.